Happy Monday! We hoped you liked our last blog post on meeting the Third Woman Press 3 Collective. Send a message through one of our social media sites or at info@thirdwomanpress.com if you’d like to know how you can help with the TWP movement! 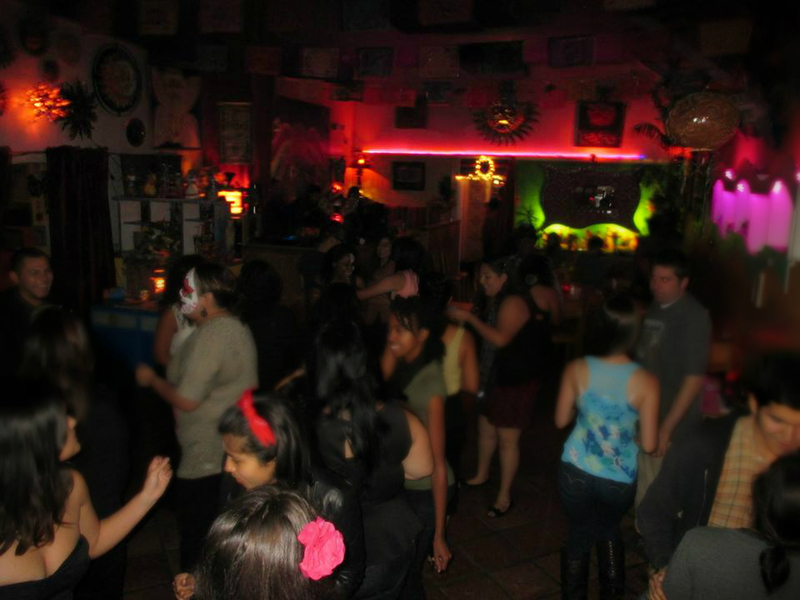 This week, we feature the woman who helped us raise money in Santa Barbara, California, through a Día de los Muertos-themed event. Here’s Magda Garcia! 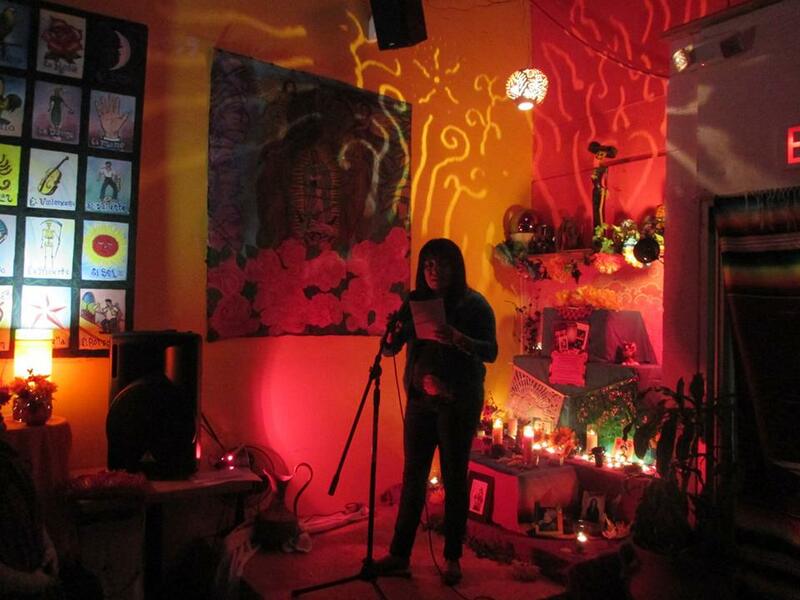 Third Woman Press Collective (TWPC): What is your geographic location? Magda Garcia (MG): I am currently living in Goleta, California, but I’m originally from the Rio Grande Valley in South Texas (San Benito to be exact, which, quick fact, is Freddy Fender’s hometown–there’s actually an image of him on our water tower). But I lived in San Antonio, Texas, for 6 years and it also really feels like home—I always stop by to see friends and mentors whenever I’m in Texas. I think I get starry-eyed when I talk about San Anto to my Californian colleagues. TWPC: What keeps you busy? 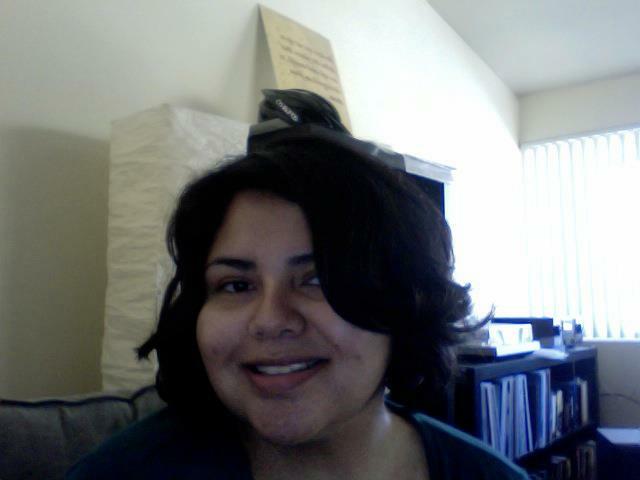 MG: I recently finished my second year in the Chicana/o Studies Ph.D. program at the University of California, Santa Barbara (UCSB), so being a graduate student and TA keeps me quite busy. 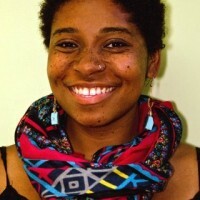 TWPC: What influenced your decision to help fundraise for Third Woman Press? MG: As soon as Sara announced that she wanted to restart TWP, I told her that I would help in any way possible. I was lucky enough to take two seminars with Norma Alarcón as I pursued my MA at the University of Texas at San Antonio (UTSA), and she has deeply influenced how I see my work and myself as a scholar (in training). 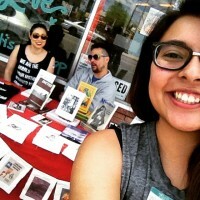 TWP provided a much-needed space during its original run, and the need for a women of color/radical Chicana feminist independent press remains. So, as soon as Sara said that the collective was looking for people to organize fundraising parties, I signed up! TWPC: What was your favorite detail, performance, interaction, etc., from the fundraiser you organized? 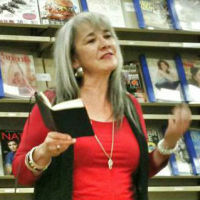 MG: I was very happy with how the poetry reading/baile turned out. 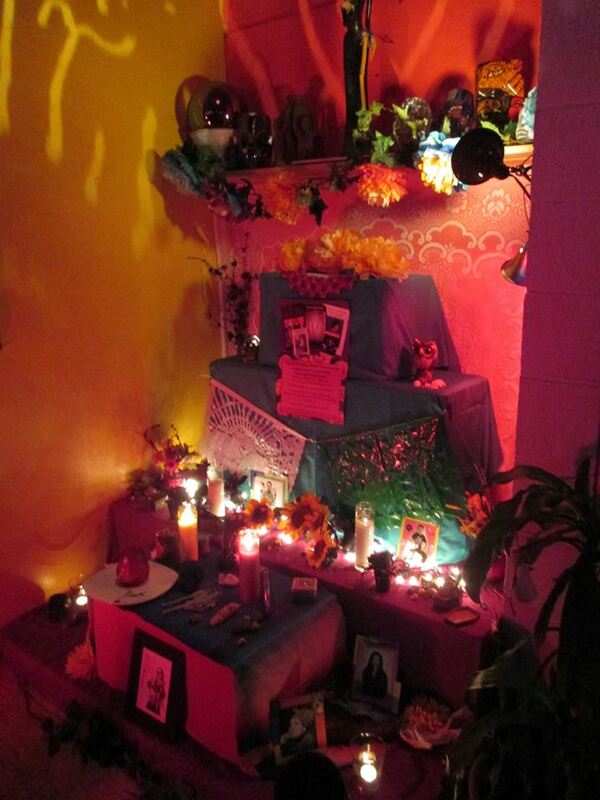 A local Mexican restaurant donated their space, which is very colorful and full of Chicana/o and Mexican art, as well as encouraged us to create an altar for This Bridge Called My Back contributors who have passed on. Seeing a mixture of community college students, undergraduate university students, and graduate students of color in this wonderful space was my favorite part of the fundraiser. TWPC: Is there any specific area, field, or place that you feel really needs a feminist intervention right now? MG: Definitely! I would say both UCSB and Chicana/o Studies need a feminist intervention. UCSB is a very privileged, white, wealthy space, though the undergraduate students of color that I have met are first generation and from places such as LA and the Central Valley. UCSB is also on the verge of becoming a Hispanic-Serving Institution, so I feel it’s important to foster and continue creating spaces and support for Latina/o students. Sadly, we’ve also had tragic events that illuminate the need for feminism at UCSB—just in the beginning of this year two UCSB undergraduate female students were raped and assaulted by multiple suspects during two separate incidents. And, of course, there’s the mass shooting that took place in May. These events all took place in the same immediate area, Isla Vista, right off campus. In regard to Chicana/o Studies, the training I received as I pursued a BA and MA in English at UTSA was very much shaped by Chicana feminism thanks to the hard work that scholars such as Sonia Saldívar-Hull and Norma E. Cantú put into building the program. 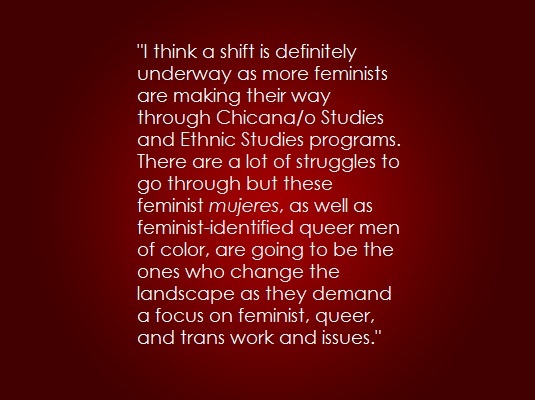 However, my first year in a Chicana/o Studies program revealed that Chicana feminism is not necessarily at the center… which is probably why a lot of Chicana feminist scholars haven’t really been in “Chicana/o Studies.” However, I think a shift is definitely underway as more feminists are making their way through Chicana/o Studies and Ethnic Studies programs. There are a lot of struggles to go through but these feminist mujeres, as well as feminist-identified queer men of color, are going to be the ones who change the landscape as they demand a focus on feminist, queer, and trans work and issues. Nevertheless, I’m extremely lucky to be working with Chela Sandoval at UCSB, who has helped me find a supportive and feminist space. TWPC: What do you like to do for fun? 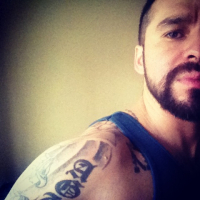 MG: I like to head to LA or San Diego for the weekend with my partner and enjoy good company, food, and drinks. We also try to go to shows in LA whenever possible—it really helps me get away from the stress of grad school. On a more regular basis, I read Stephen King (usually before bed!) as a form of escapism. TWPC: Are there any activities you do specifically to recharge after doing community organizing? MG: I like to meet up with friends who also helped organize for dinner and just discuss and process with each other whatever took place. It helps me feel connected and part of a broader collective while still being in a somewhat intimate space. TWPC: Since you helped TWP raise money, what is one thing that excited you about the revitalization or what would you like to see TWP do overall? MG: I don’t even know where to begin! Honestly, what I’m most excited about is the anthology that is underway. I love that it’s made to follow in the tracks of This Bridge and that it’ll introduce the work of a more recent generation. I’m particularly looking forward to seeing how this generation is influenced by, reshapes, extends, and diverges from the multiple ideas and theories in This Bridge. Thanks so much to Magda for always supporting our collective and the TWP movement! 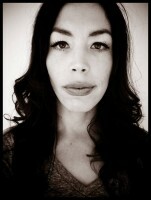 Want to know how you can help Magda with Third Woman Press doings in Santa Barbara? You can email her at magdagarcia@umail.ucsb.edu. Next week, we’ll feature one of the visual artists who donated their work for a TWP fundraiser. Stay tuned, folks! Don’t forget you can follow us on Facebook, Twitter, Instagram, or Tumblr.